Silverfriend is raising £150,000 investment on Crowdcube. Capital At Risk. Silverfriend is a start-up offering older people protection from scams and fraud. 53% of over 65’s have been victims of a scam and it’s getting worse every year, with fraudsters preying on the lonely and isolated. The team aim to take away that isolation and vulnerability. My wife’s grandmother was scammed and didn’t tell anyone for months. It wasn’t just the monetary loss but the sense of shame that inspired the Silverfriend concept. We wanted a solution which took away this isolation and maintained their independence. The ability to speak immediately to a trained UK based expert achieves both when confronted by the unexpected email, the surprising lottery win, the too good to be true investment or the rogue tradesman on the doorstep. We aim for our alerts, newsletters and website to help educate, and in return, members will pay an affordable fee either monthly or annually. They maintain their independence but increase their safety. We have established good relationships with government bodies, charities and academic institutions to ensure credibility. We are working with PR/Communications, design, technology and insurance companies to ensure we deliver a high-quality product. The University of Portsmouth Centre for Counter Fraud Studies is preparing our training materials. The marketing/launch program is similarly complete. Silverfriend is scheduled to launch in Q1 2018. To see the rest of the Silverfriend pitch, join now. 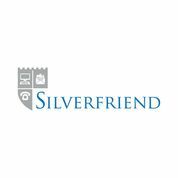 Join to read more information about the Silverfriend team, documents, and what other investors are saying about the pitch.